She said yes! 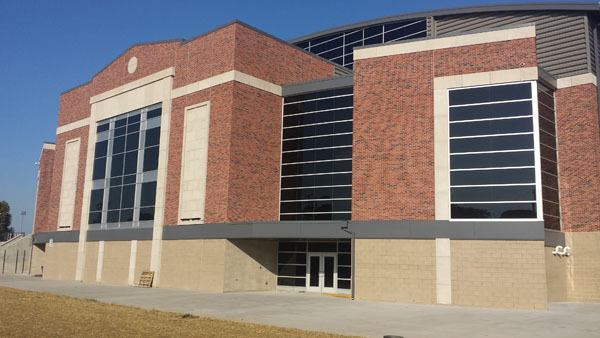 Photo by Ohio State Football (@OhioStateFB). (Lawrenceburg, Ind.) - Drue Chrisman is an All-American caliber punter, a world-class bottle flipper and a soon to be husband. 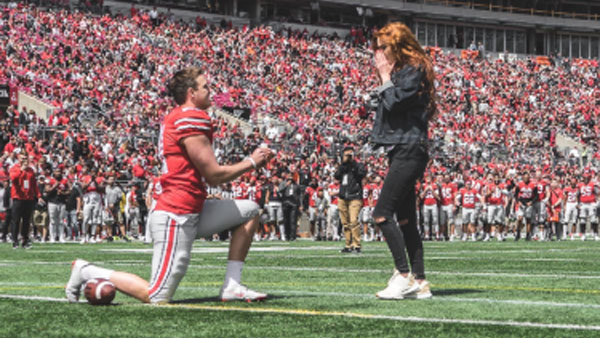 Chrisman, a redshirt junior at Ohio State University, proposed to his girlfriend and Lawrenceburg High School graduate, Avery Eliason, in front of 61,102 fans during the Buckeyes' Spring Game on Saturday. The proposal came during a fake kicking competition. Chrisman was already on one knee, prepared to hold the ball, when he popped the question. She said yes and the two were met with congratulations from all of Chrisman's teammates.